"Steve has a really crazy sense of humour in the great tradition of the Goon Show and Monty Python. Thank him for me, please, for a witty, inventive, surreal and subversive collection." "If I had to use one word to describe this book, it would be 'quirky.' 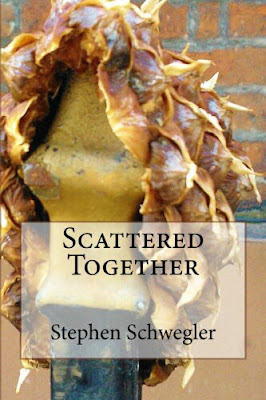 Schwegler has sought to use the world around us and give it a slant. With appearances by intelligent squirrels, talking food, and even Jesus, the range of story subjects will make you look at reality in a new way." "Made me smile many times." "A collection of short stories by the world's leading writer of fictional tales of absurdity. If you don't believe me, check out some of the story titles. Good stuff." "... the funniest collection of short stories I've ever read." "I'm not usually a fan of short stories, but these were incredibly funny and addictively readable. The characters were unique and the dialogue had me chuckling out loud. Jesus as a jealous girlfriend? Hysterical. Useless super powers? Brilliant. A box of donuts sitting on an office table... from the point of view of the donuts? Pure comedic genius! My only critique was that I wanted some of the stories to be longer because they were so entertaining."